YG Entertainment’s president YANG HYUN SUK announced BLACKPINK’s comeback plans himself. On February 8, YANG HYUN SUK responded to the fans’ curiosities on BLACKPINK’s comeback himself. According to him, BLACKPINK is preparing to make comeback during March with an EP album (mini album) containing multiple new songs. It will be a comeback in 9 months since they last released ‘DDU-DU DDU-DU’. 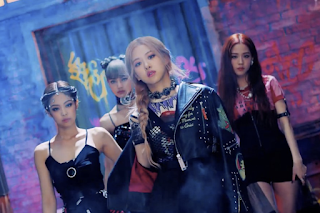 Regarding the fans’ opinions that BLACKPINK has not released many songs considering their active years, YANG HYUN SUK explained, “I agree with the opinions that the fans want BLACKPINK to release songs more frequently along with an official album containing multiple new tracks, and always feel regretful that I haven’t been able to fulfill the fans’ requests. It is important to release new songs frequently, but in the case of BLACKPINK at the moment, it’s even more important to release songs with high quality and music videos with a high degree of completion”. He also mentioned news on the upcoming solo projects by other members following JENNIE, who made a successful start of BLACKPINK’s solo project with the song ‘SOLO’. YANG HYUN SUK wrote, “ROSÉ’s solo track is expected to be release after the release of BLACKPINK’s EP album. The song selection is complete, while LISA and JISOO are also preparing for their solo tracks sequentially”. He added, “It is my goal and desire that the 3 remaining members all release solo tracks this year”. BLACKPINK is currently active as a global girl group while going through a world tour and confirming their appearances on US morning news programs. I will continue to write about BLACKPINK’s upcoming release. Q. When will BLACKPINK release new songs? A: We are expecting BLACKPINK to release new songs during mid to late March. It will be released as a form of an EP containing multiple new tracks. Since BLACKPINK hasn’t released many songs considering their activity period since making debut, the fans are hoping that BLACKPINK will release new songs more frequently and that they will release an official album containing numerous new tracks. I agree with those opinions and always feel regretful that I haven’t been able to fulfill the fans’ requests. but in the case of BLACKPINK at this moment, it’s even more important to release songs with high quality and music videos with a high degree of completion. 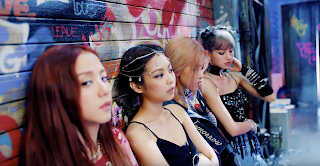 BLACKPINK’s upcoming release expected on March would be their release in 9 months since the group made comeback with an EP with the title song, ‘DDU-DU DDU-DU’, released last year on June. I remember feeling relieved since the songs had higher quality than what I imagined. Q. When will ROSÉ’s solo track be released, which was announced to follow JENNIE’s solo debut? A: ROSÉ’s solo track is expected to be released after BLACKPINK releases their EP album. while LISA and JISOO are also preparing for their own solo tracks. Within the year 2019, it is my goal and desire that BLACKPINK makes 2 comebacks while the three remaining members release solo tracks in the order of ROSÉ – LISA – JISOO. Q. News on BLACKPINK’s appearance on US TV shows are being announced. When will the full-scale US promotion begin? A: Starting with BLACKPINK’s upcoming performance at the main stage of Coachella on April 12th and 19th, one of the largest music festivals of the US, the group is planning to go on a North America and Europe tour for a couple of months. So the local promotion will begin in accordance with the tour schedule. With the support of Universal Music Group and Interscope Records, BLACKPINK is expected to promote themselves through not only well-known TV shows but also radio, magazines, and newspapers. Since 3 of the members can speak English, we are hoping that a more varied and active promotion will be possible. Q. How do you forecast BLACKPINK’s entry in the US market as a producer? A: This is only my personal and subjective analysis. as the last group I remember is ‘Spice Girls’, the 5-member girl group that made debut back in 1996. It is probably because not many girl groups made debut itself, due to the cultural system. Therefore, I am hoping and expecting that the US and European market will be a blue ocean for BLACKPINK. These expectations came from the data analysis on BLACKPINK. When you look at the YouTube view analysis by country of “DDU-DU DDU-DU”, BLACKPINK’s latest release, the largest amount of revenue was generated in the US. The US was ranked at no. 5 on the number of view counts, Brazil and Mexico at no. 7 and no. 9, and France, Russia, UK, and Germany all ranked within no. 20. If BLACKPINK’s overseas promotion begin in full-scale, we are expecting those numbers to rise accordingly. I felt that they have a lot of affection towards BLACKPINK and reaffirmed that they are passionate on setting up a successful promotion plan. and I will revisit you next week on Monday with news on the upcoming releases of our agency’s artists including WINNER and iKON. Thank you.